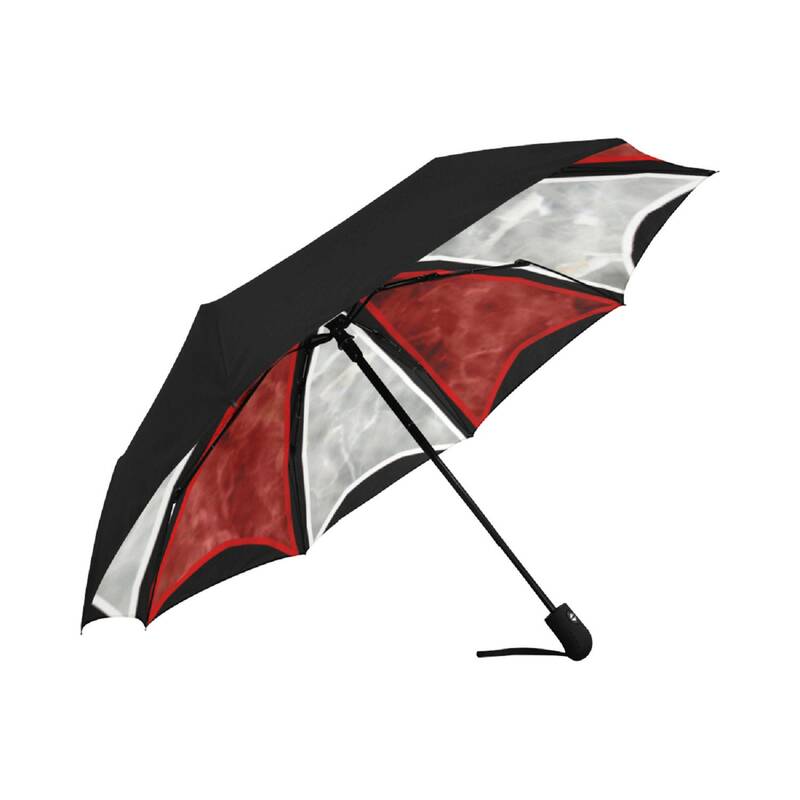 Featuring anti-UV black coating and automatic open & close canopy, this umbrella can keep you cooler on hot days and keep you dry in all seasons! 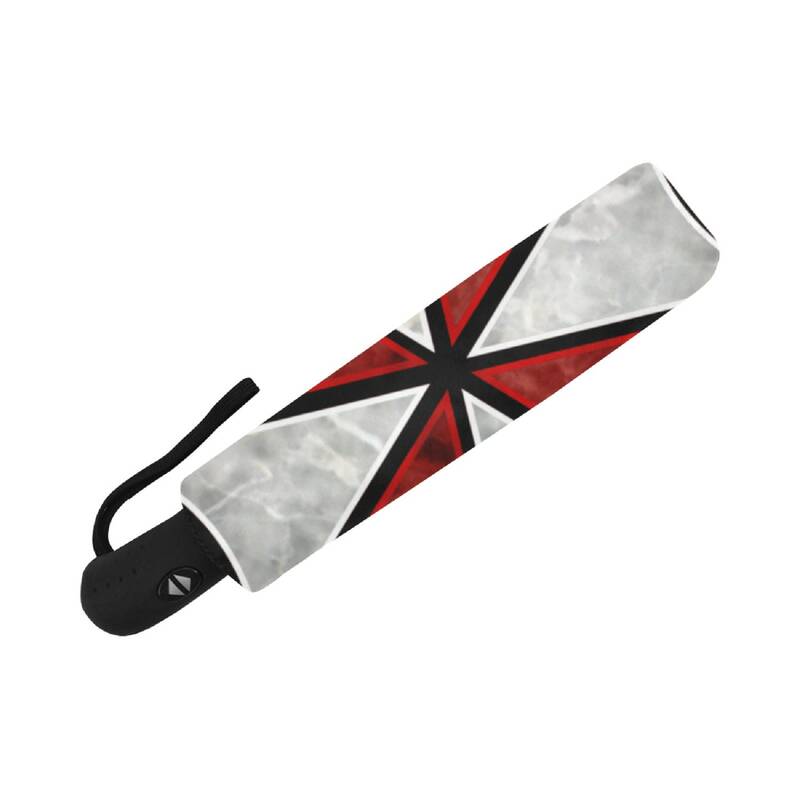 Add your own design to the underside of this umbrellas through customisation. 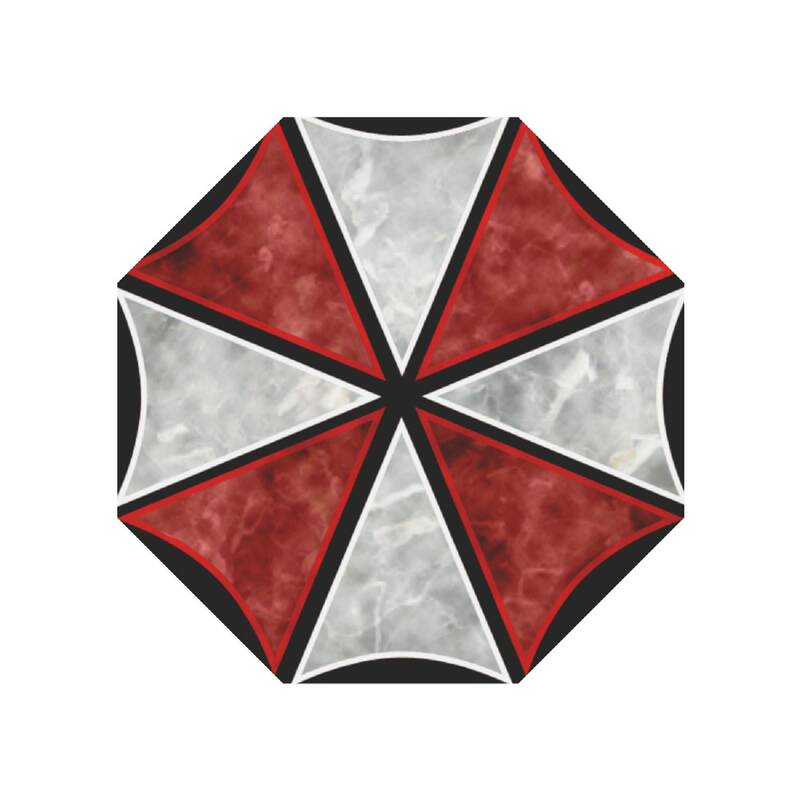 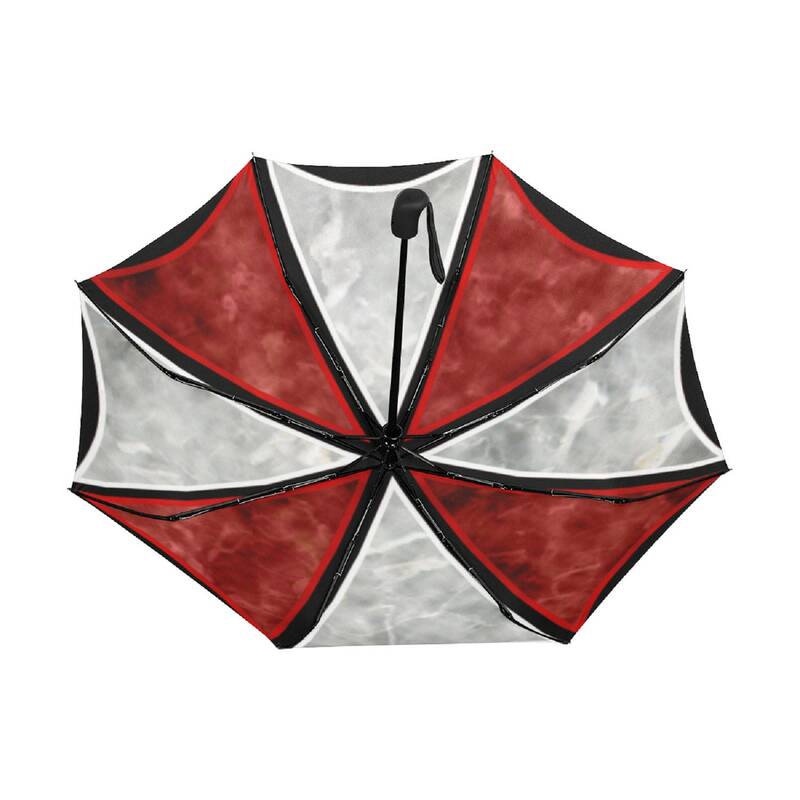 This design is specifically representing the umbrella corporation of Resident Evil.